Hello. 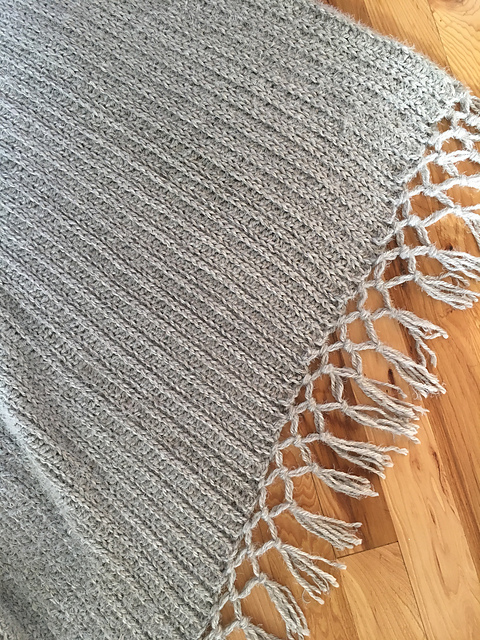 I have an amazing blanket in shades of gray for you. It is very neutral and suits any type of interior. See for yourself how to crochet it. It’s a free pattern. The blanket is perfect for you and your family. It is a simple and quick pattern that you will do in your home comfort. Make a yarn to create Red Heart Hygge. The blanket is big and cozy. Give yourself a great rest after a hard day. The blanket is 45 “[114 cm] wide x 54” [137 cm] long. See the tutorial on how to create it step by step. I recommend! 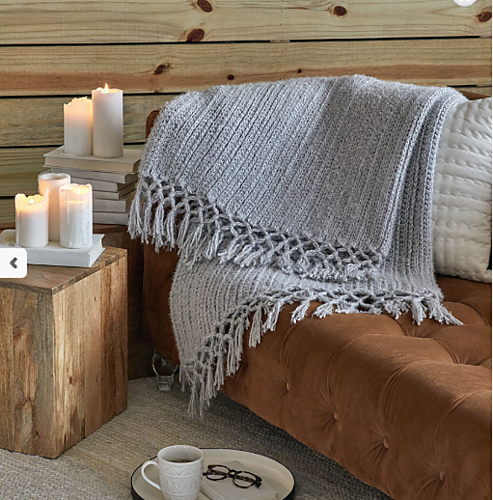 Cozy Time Fringe Throw Free Crochet Pattern is here.